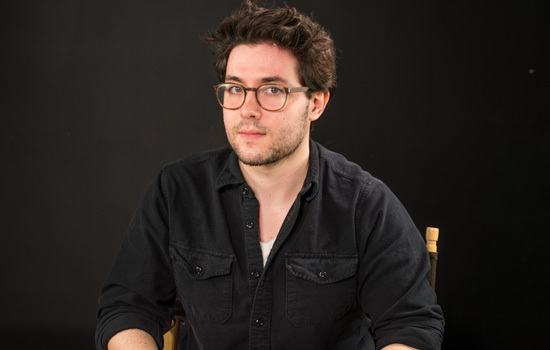 Yannick LeJacq, a writer for Gawker’s video game website Kotaku, will explore why violence is important to video games as part of the MAGIC Speaker Series Feb. 11 at RIT. RIT’s MAGIC Center is hosting a free speaker series throughout the academic year to spark a dialogue about the changing digital world and its impacts across campus. Writer Yannick LeJacq will give the next talk from 1 to 2 p.m. Feb. 11 in Student Innovation Hall. His talk, “Games Should Be More Violent, Not Less,” will explore what he believes is the misguided notion that video games need to become less violent. He will discuss the reasons that violence seems intrinsic to many of the biggest video games in recent memory, including The Sims 4, Grand Theft Auto V, Middle-earth: Shadow of Mordor, Mario Kart and Super Smash Bros.
“Yannick’s talk is a fantastic opportunity for all of us—gamers and non-gamers alike—to come together and critically explore a highly contentious debate whose resolution stands to have a profound social impact,” said Evan Selinger, associate professor of philosophy and MAGIC Center Head of Research Communications, Community and Ethics. LeJacq is a writer for Kotaku, Gawker’s video game website. His work has also appeared in The Wall Street Journal, Vice, The Atlantic and The Guardian. He graduated from Wesleyan University in 2011 and currently lives in Brooklyn. The MAGIC Speaker Series is co-organized by Selinger and Elizabeth Lawley, professor of interactive games and media and director of the Laboratory for Social Computing at the MAGIC Center. Past speakers include author David Zweig and RIT computer science alumna Anna Sweet, who serves as key strategist and driver of third-party distribution on the popular VALVE Steam platform. RIT’s Center for Media, Arts, Games, Interaction and Creativity (MAGIC) focuses on digital media, providing all students, faculty and staff with a space for research and production. For more information, go to magic.rit.edu/speakers and RSVP on the MAGIC Facebook page.